When the Sony Xperia Z3 was first announced, the company also unveiled a feature called PS4 Remote Play, which allows you to to stream content from your PlayStation 4 to a supported Xperia device. 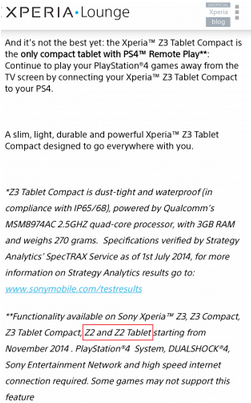 Now Sony has (accidentally) revealed that this feature will be coming to the Sony Xperia Z2 and Sony Xperia Z2 Tablet. 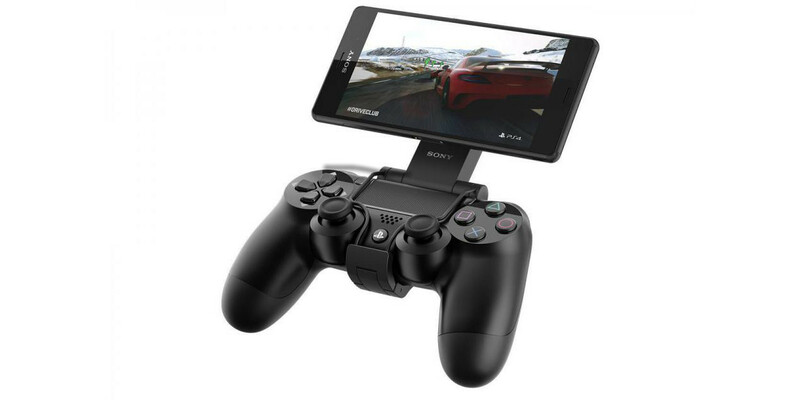 When PS4 Remote Play was first launched, it was an exclusive to the Sony Xperia Z3, Sony Xperia Z3 Compact and the Sony Xperia Z3 Tablet Compact. With little difference between the Sony Xperia Z2 and Sony Xperia Z3, it might not seem like such a surprise that the PS4 Remote Play feature will be available on the older model. But what is a little surprising, is that Sony is planning on making it available on the Xperia Z2 and Xperia Z2 Tablet immediately upon the feature's launch next month. Once you have PS4 Remote Play on your Xperia device, you will be able to leave the HDTV to your family and continue your game where you left off in another room.